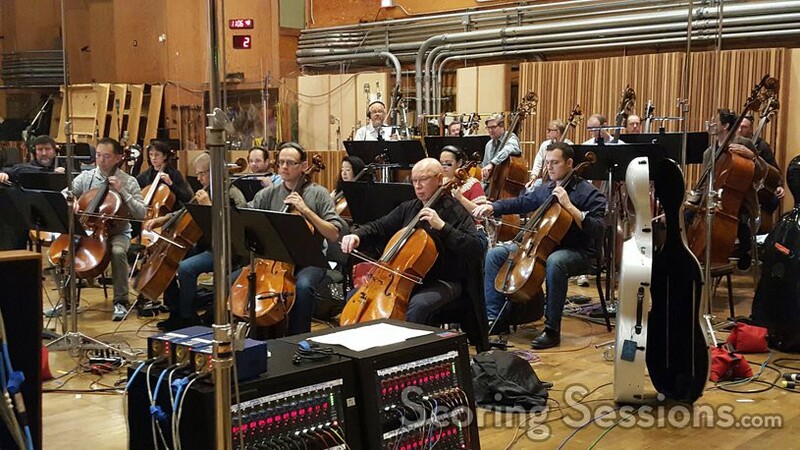 Earlier this spring, composer Simon Franglen paid tribute to his longtime collaborator, the late Oscar-winning composer James Horner, by finishing the score he started for The Magnificent Seven, directed by Antoine Fuqua. 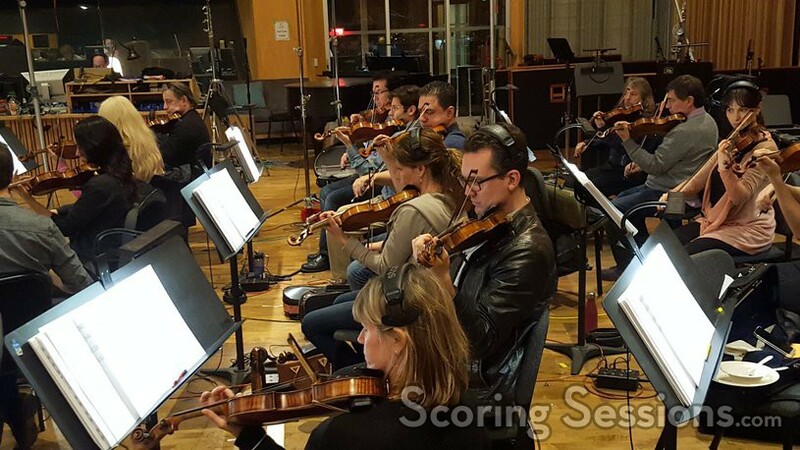 Recording took place at the Newman Scoring Stage at 20th Century Fox, and we were honored to be able to attend the last string session that took place, and are delighted to share our exclusive photos with our readers! After Horner died in 2015, Franglen and Simon Rhodes took the piano demos that Horner had written as a gift for Fuqua, and fully fleshed them out into a suite, which was then presented to MGM – who was then satisfied that a full score could be written for the film based on the material. 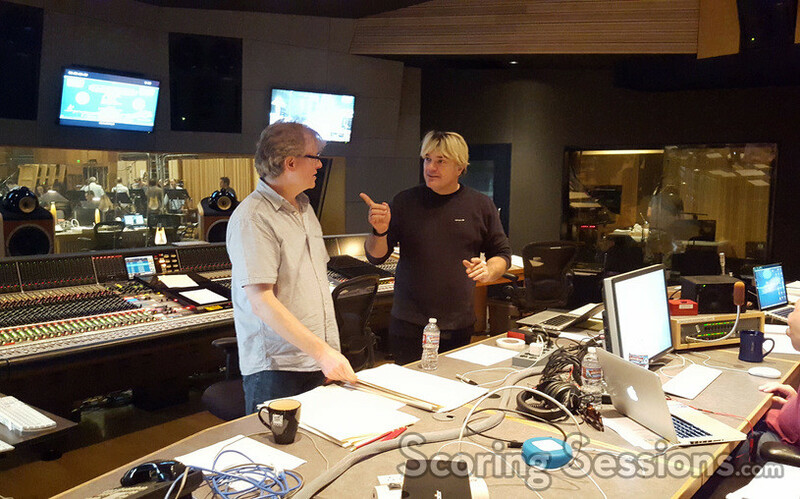 When the main round of scoring sessions took place, a 76-piece ensemble of the Hollywood Studio Symphony was conducted by orchestrator J.A.C. Redford. 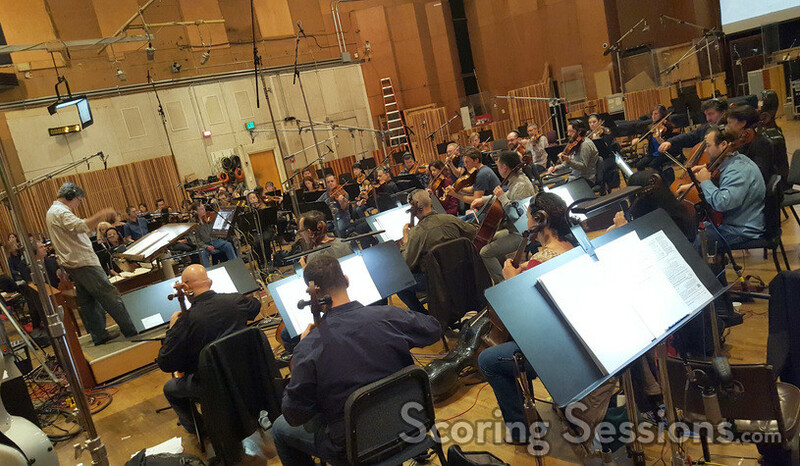 We visited the last session in March, where additional conductor Carl Johnson was the one waving the baton. 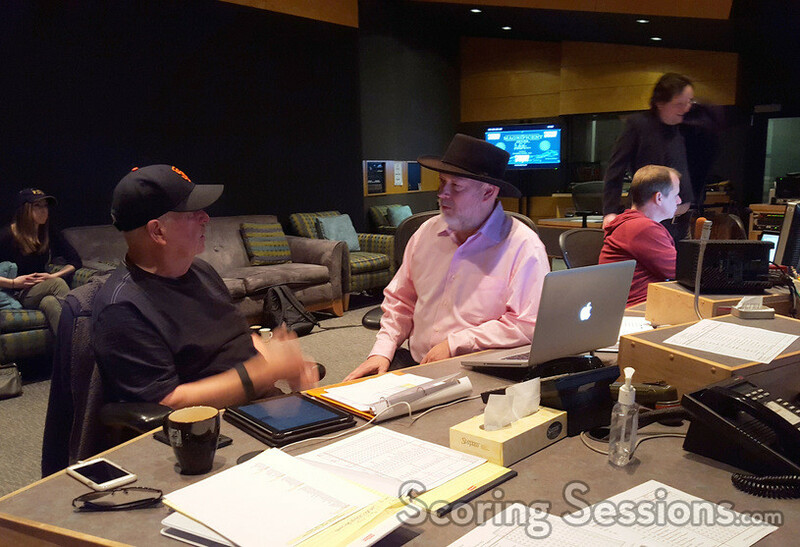 In the booth, Simon Franglen was joined by longtime Horner scoring mixer Simon Rhodes, as well as music editors Jim Henrickson and Joe E. Rand. ProTools recordist Kevin Globerman was also in the booth to make sure was all captured. 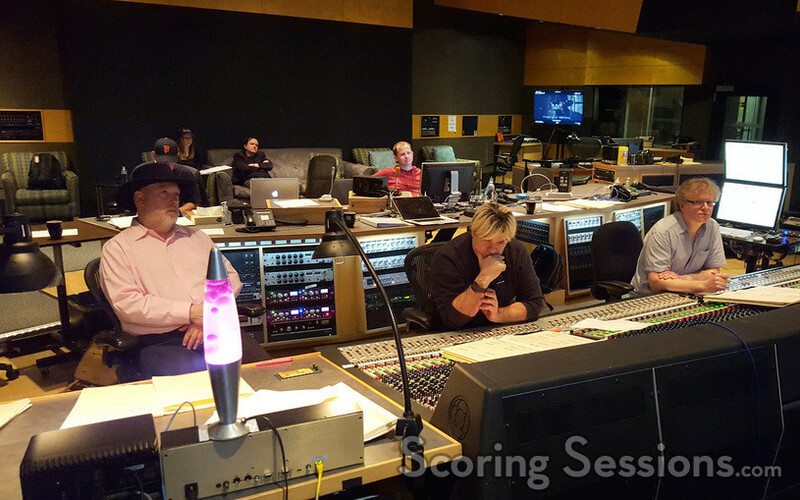 The Magnificent Seven opened in theaters on September 23rd, and a soundtrack album featuring Horner and Franglen’s score is available from Sony Masterworks.